I visited Brazil to attend the workshop, International Network for TropicalBiodiversity Conservation Focusing on the Studies on Large Animals, at NationalInstitute for Amazonian Research (INPA) in Manaus and to visit the Amazon Riverand Amazon rainforests from 21st October to 1st November. I made a poster presentation on my research entitled Vocal Communication in Dholes (Cuon alpinus): on the Function of Whistle Calls in the workshop at INPA, held on 23rd to 24th October. I could understand researches and conservation activitieson Amazonian wild animals by INPA researchers for the two days and intensely discussed my research during the poster session. 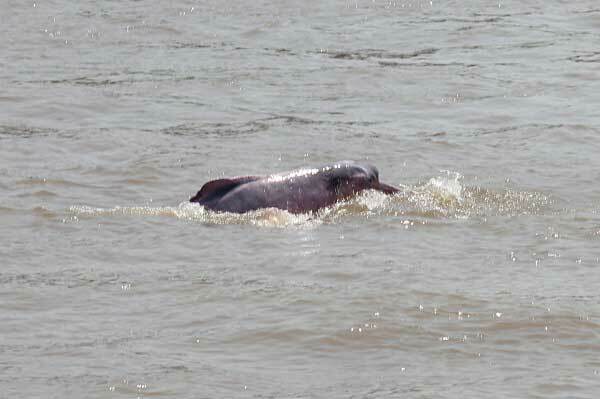 I visited the Amazon River from 25th to 26th October and the Ecopark and ZF2 Forest on 27th to 28th October. I observed wild animals such as Amazon river dolphins and tucuxies inthe river and walked around the forests and saw birds and canopies from a 45-meter observation tower in the ZF2 forest during this period. I realized differences in the biodiversity between a blackwater and whitewater river ecosystem and characteristics of the Amazon rainforests. 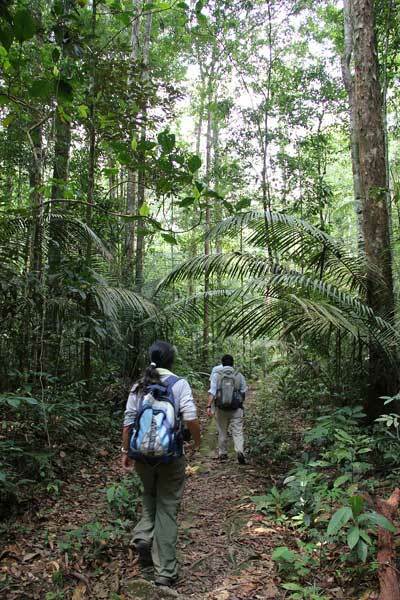 I could understand similarities and differences of the rainforests among Amazon, Borneo where I visited last year supported by AS-HOPE, and South India, one of my study sites. 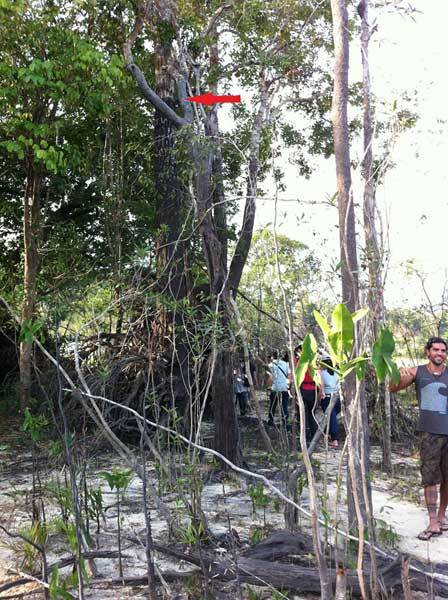 The water level rises up to the point indicated by the red arrow in the rainy season.